According to Wikipedia and recent Newsweek polls 24-30 percent of the population of the U.S consider themselves to be “Spiritual but not Religious”. Awakenings is here to serve that audience, providing a myriad of resources that honor each individuals unique expression. 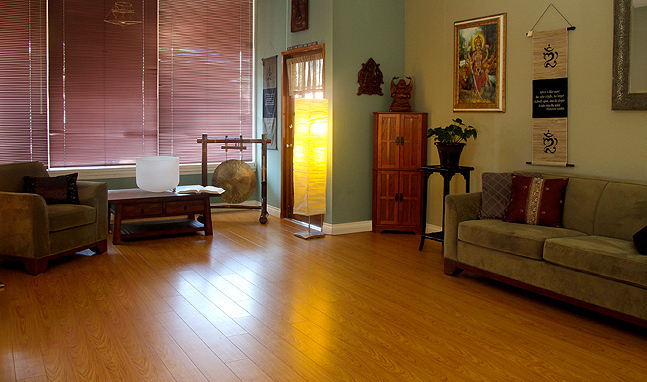 Awakenings owners Brandon and Lori Camacho are devoted to helping bring greater love and enlightenment to the world. 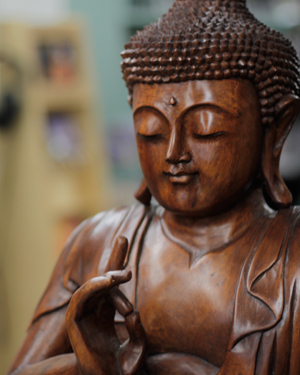 Their journey began over 20 years ago and has included a myriad of different teachings and experiences. It is their honor to hold space for the many beautiful beings that grace Awakenings every day. Brandon is also a teacher, author, channel and spiritual counselor offering love, guidance, and transformational tools to assist individuals on their unique paths of growth. Lori is a psychic, channel, healer and teacher that regularly conducts certification courses, helping others to develop their own unique abilities. She also sees individuals privately from her office in Laguna Hills. It is our honor to pay homage to Joe Moriarty, the original founder of Awakenings. Joe served as a pioneer in birthing Awakenings twenty years ago and was instrumental in the "passing of the torch" to the current owners. He continues to write for Awakenings magazine and shine his light to spiritual seekers throughout the world! This classroom is available for rent by outside groups or individuals. It is our Intention to function with honesty and integrity in all of our business practices. We respect and uphold the privacy of our visitors and their personal information. We do not condone nor affiliate ourselves with any parties that partake in any form of "Spam". We will not sell or share any information to third parties such as marketing firms or "spammers." All information given to us will be kept confidential and private. Any transactions made through our Merchant account with Pay Pal are SSL secured. My wonderful light table experience was an integral part of my healing and recovery routine from colon cancer last year. Over the course of my diagnosis, surgery and radical chemo and radiation I used the light table to enhance my healing. I found it to be extremely beneficial and I truly believe that it’s healing light enhanced my recovery as did the wonderful caring service of David at the Awakenings Soul Spa. I highly recommend this for anyone going through a treatment and or recovery process from anything, even if it’s just the stress of the day.Thank you again for empowering my healing. Awakenings Magazine and advertising info. Need Ad Space? Consider Awakenings Magazine for Your Business Ad! 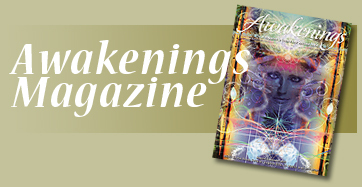 Awakenings Magazine is a free publication featuring enlightening articles and interviews with pioneers in the field of spirituality. Serving the conscious communities across Southern California for over 10 years, Awakenings Magazine is a great place to advertise your business locally. With a wide distribution to a targeted market and some of the best rates available Awakenings will help bring success to your business. Please click here to learn more about placing your ad today!